All THE MARYLAND homes currently listed for sale in Salt Lake City as of 04/22/2019 are shown below. You can change the search criteria at any time by pressing the 'Change Search' button below. 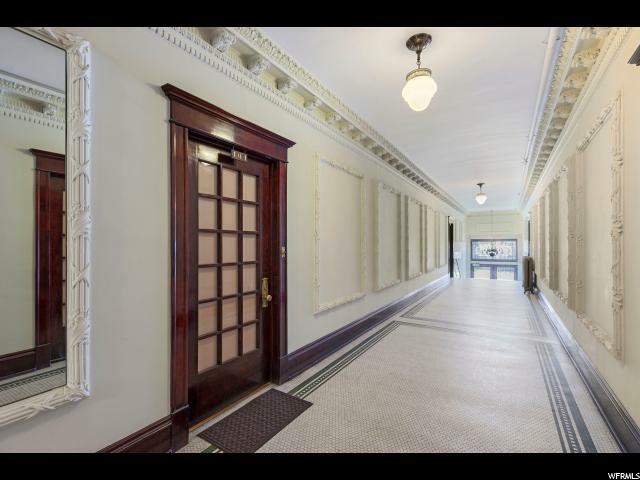 "Sophisticated 1-bedroom home with study in the exclusive Maryland building on South Temple. Elegant neo-classical finishings, oversized windows, and original mahogany moldings. All new electrical, lighting, plumbing, and paint. Newly renovated kitchen features marble counters and flooring, custom cabinetry, and appliances from Sub-Zero, Wolf, and Bosch. Secure garage parking with electric vehicle charging station. Basement storage unit and Google Fiber access. This home is a must-see! Square footage figures are provided as a courtesy estimate only. Buyer is advised to obtain an independent measurement."